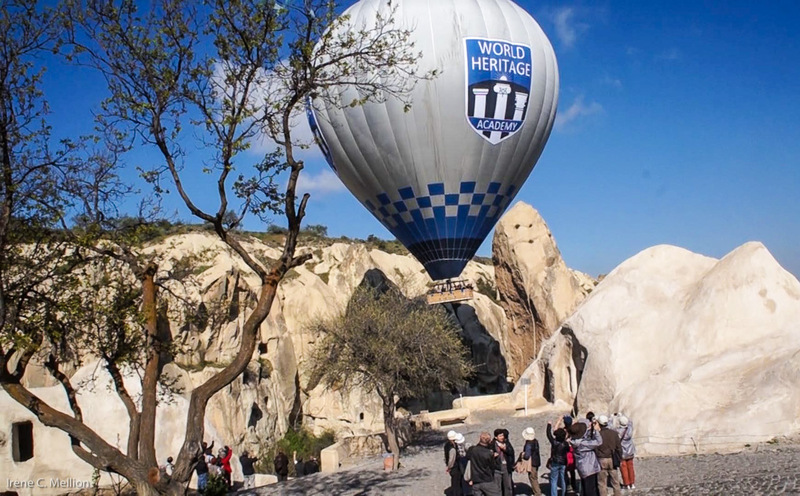 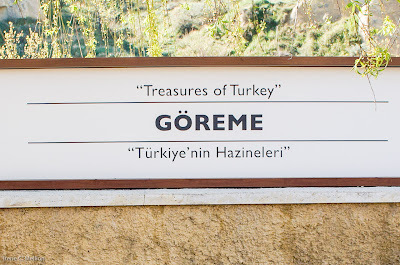 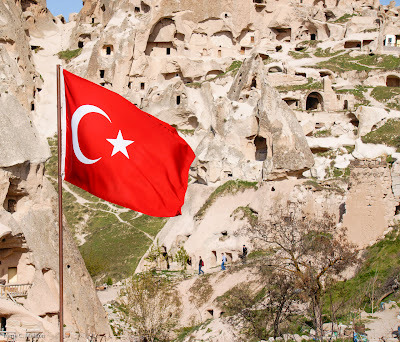 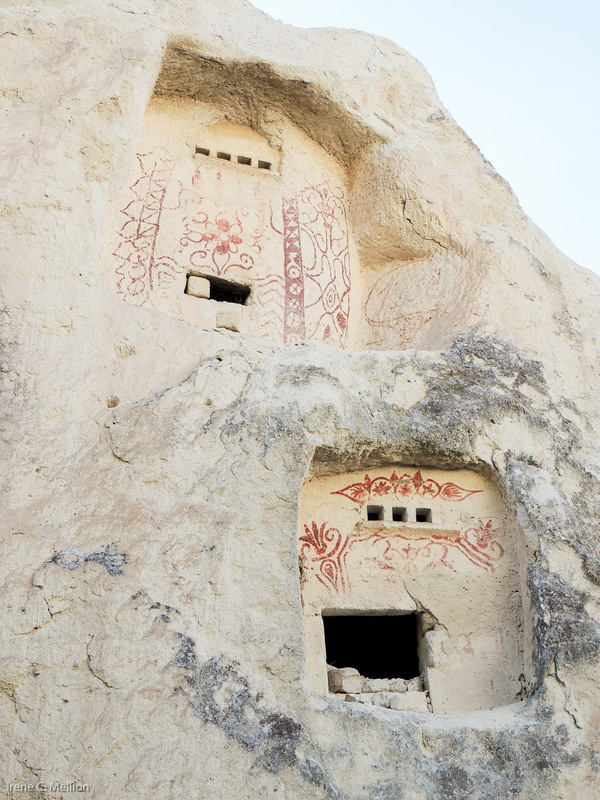 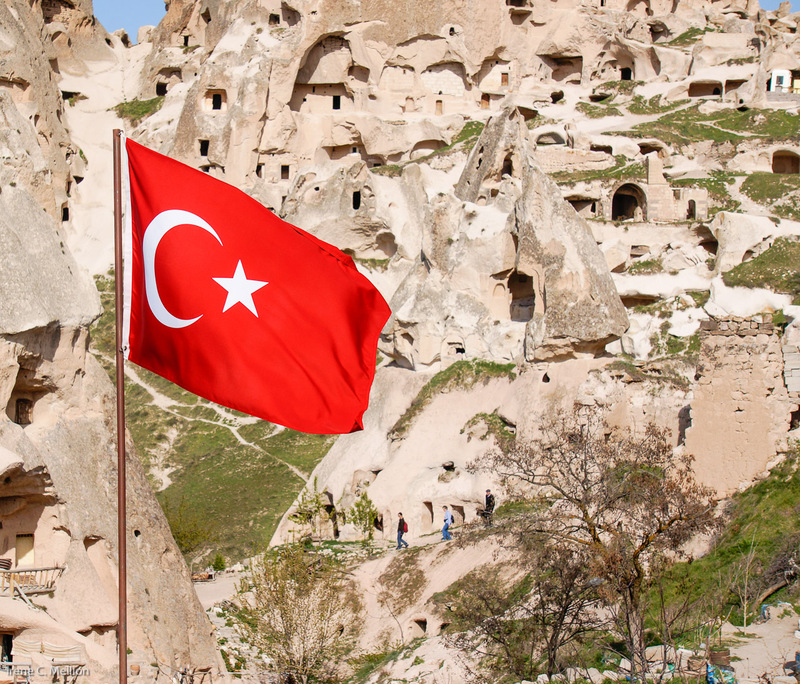 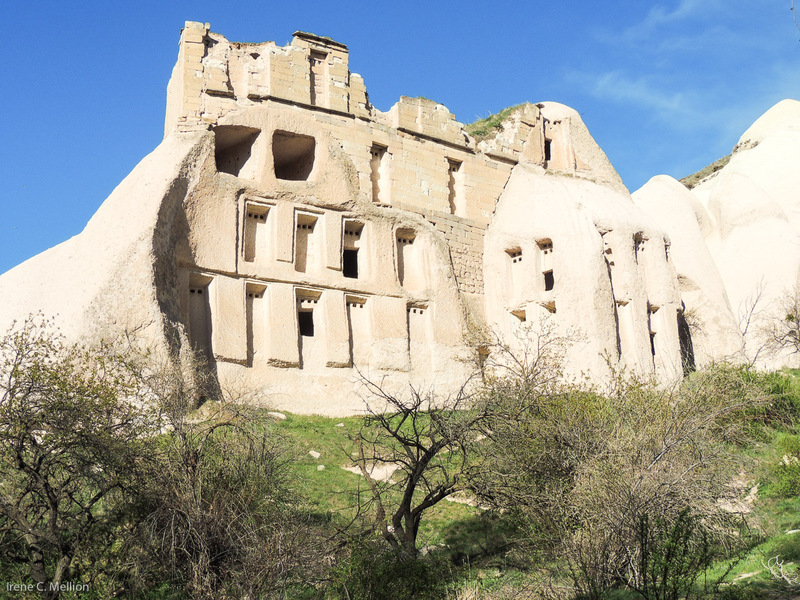 The Göreme Open Air Museum has been a UNESCO World Heritage Site since 1984. 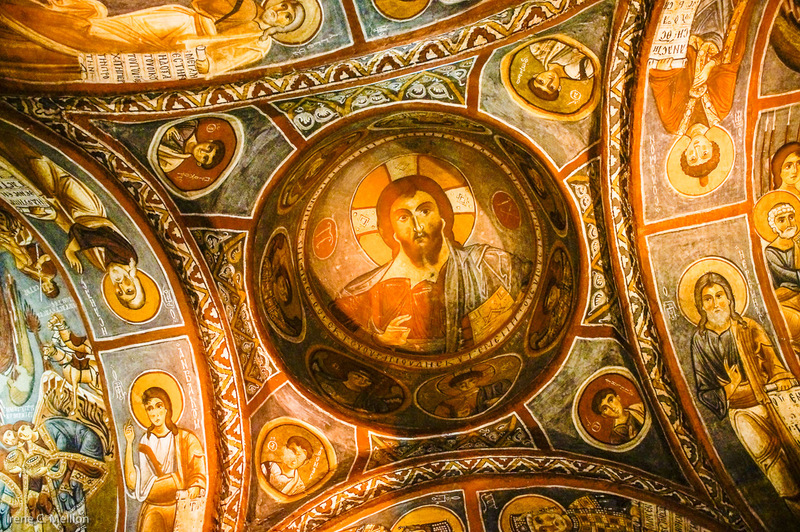 Because of the crowds and to preserve the wall painting and frescoes, photography inside the churches and buildings is not allowed. 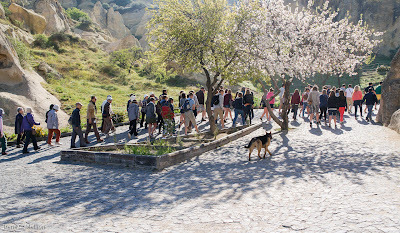 There was much to see here and the crowds were manageable as it was early in the tourist season. 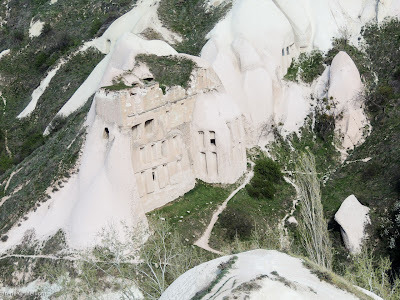 You can view this area from a hot-air balloon--we knew this but were surprised and shocked to see how close you could get to the site. 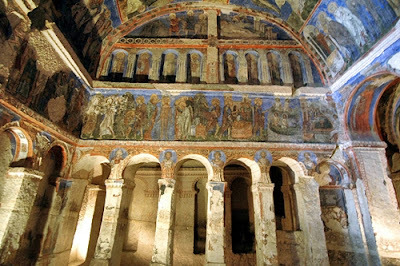 The museum contains fine rock-cut churches, with beautiful frescoes (wall paintings) whose colors still retain all their original freshness. It also presents unique examples of rock hewn architecture and fresco technique. 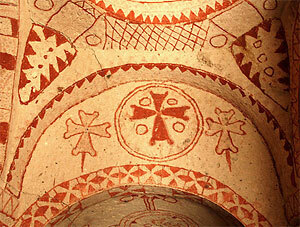 Motifs were painted in red directly onto the rock and include geometrical patterns, mythological animals and military symbols. This is one of the most prominent buildings in the area with its vivid colors. It has beautiful frescoes dating to the 11th and 12th centuries narrating scenes from the Bible and the life of Christ. 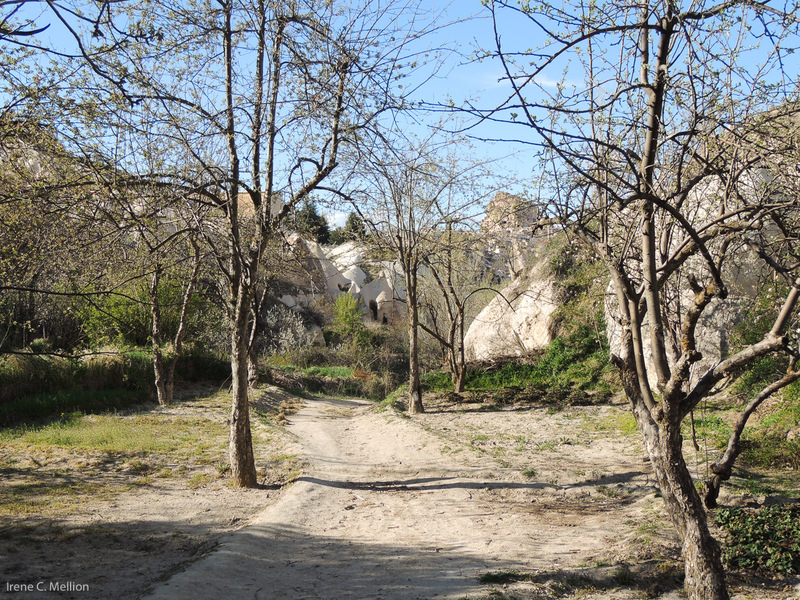 The building derives its name from an apple orchard once in front of the church. 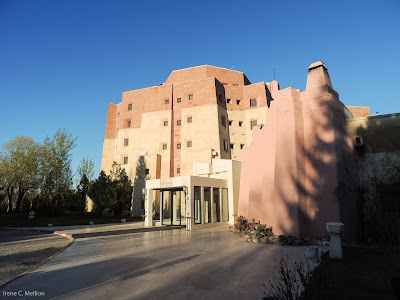 The entrance to this church is through a winding tunnel which opens into a narthex. 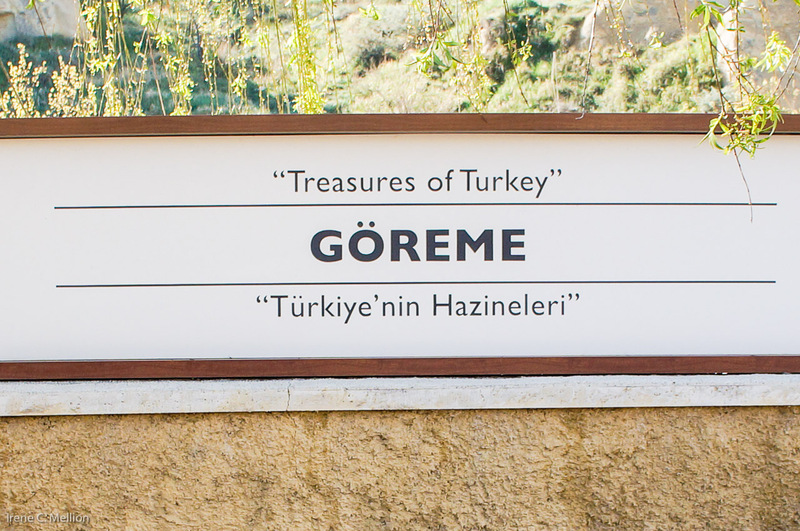 You have to pay an extra admission fee (8 TL per person) but it is worth it. 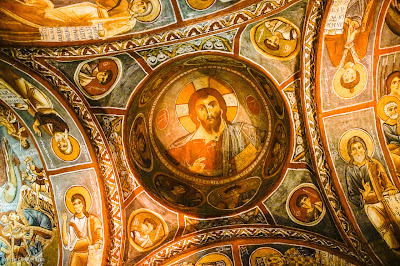 The frescoes on the wall look like they were painted a few years ago. the ones above easy reach are in excellent condition--ones below have been defaced. 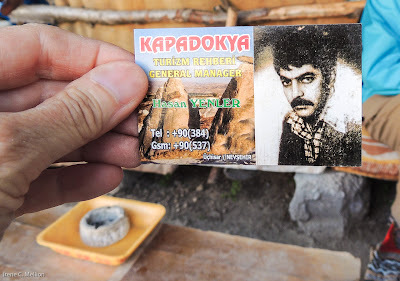 Even though Tokali church is located down the museum around 50 meters, you can visit the church with the same ticket that you used for Goreme Open Air Museum. 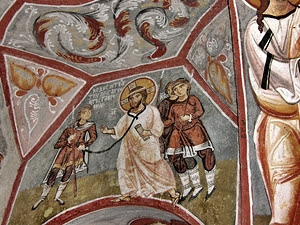 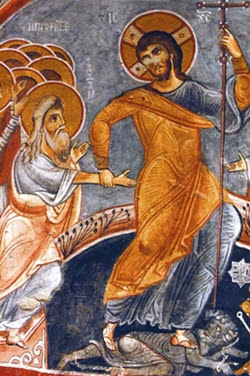 Among the rock churches in Cappadocia, Tokali has the best paintings narrating the life of Christ in the most detail. 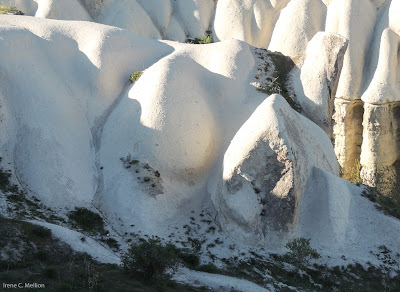 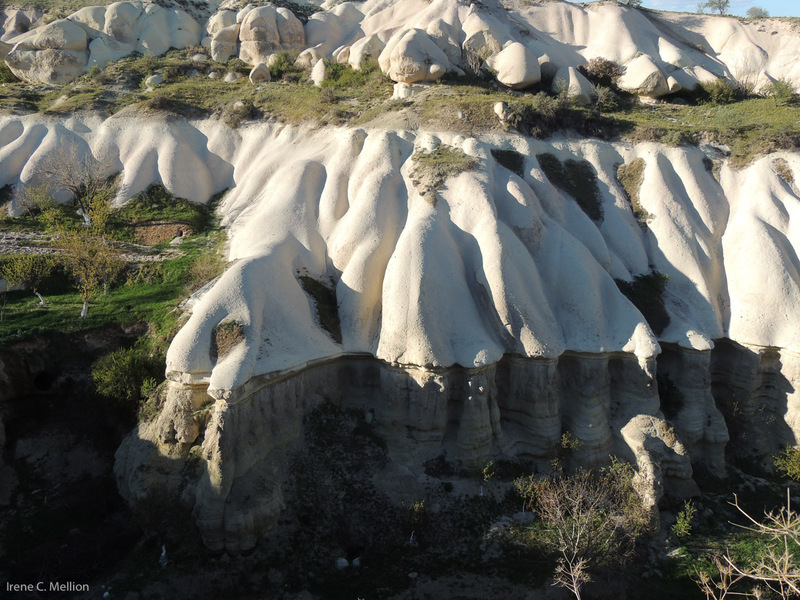 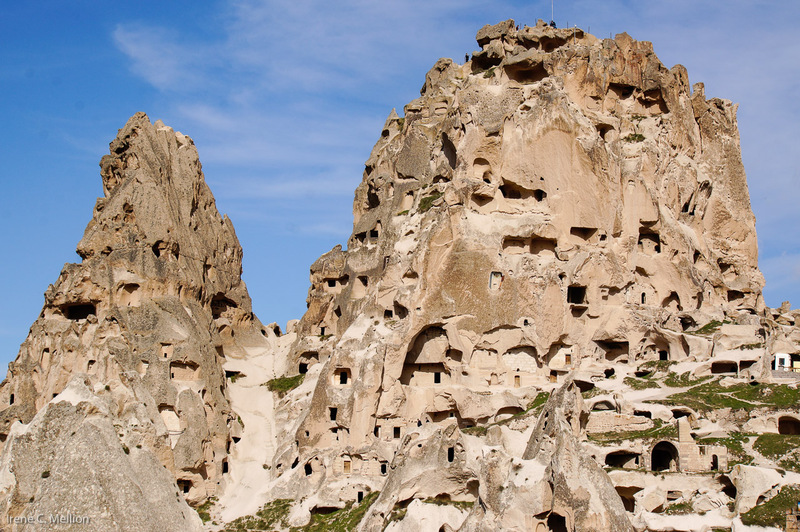 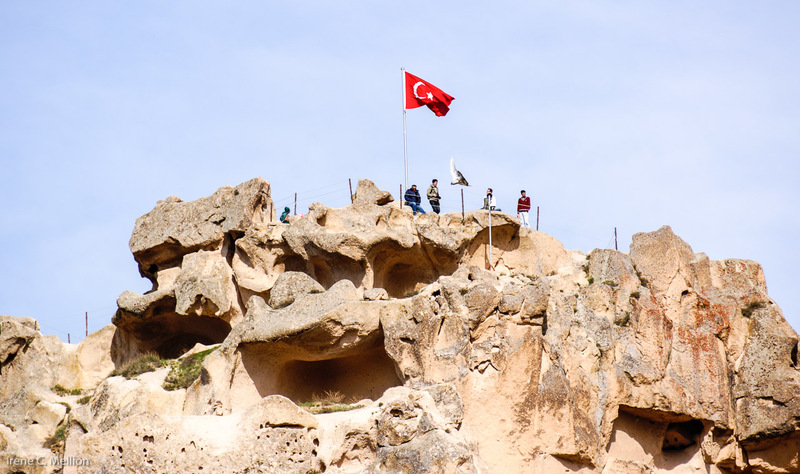 Uchisar is situated at the highest point in Cappadocia, just 5 K from Goreme. 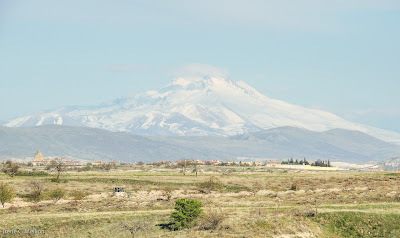 The top of the Uchisar Castle provides a magnificent panorama of the surrounding area with Mount Erciyes in the distance. 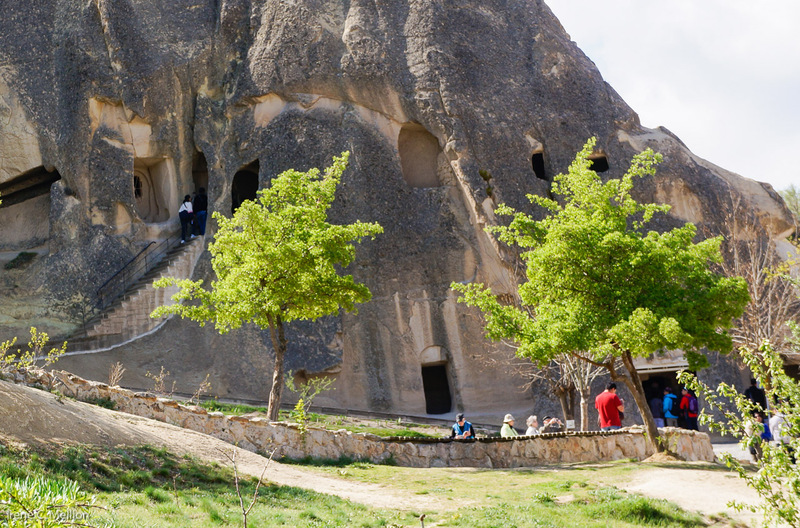 Many rooms hollowed out into the rock are connected to each other with stairs, tunnels and passages. Due to the erosion in places of this multi-leveled castle, it is unfortunately not possible to reach all the rooms. 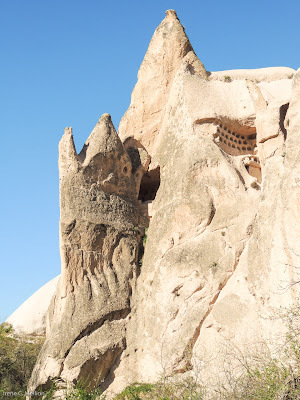 Most of the rooms, located on the north side of the castle are in use as pigeon houses (dovecuts) today. Farmers used these cave pigeon houses to collect the droppings of pigeons which is an excellent natural fertilizer for the orchards and vineyards. 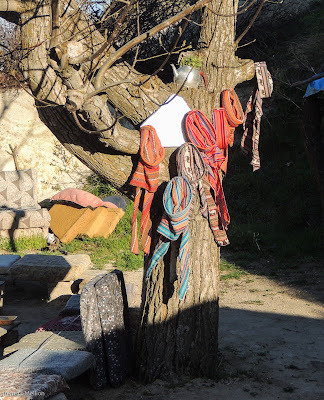 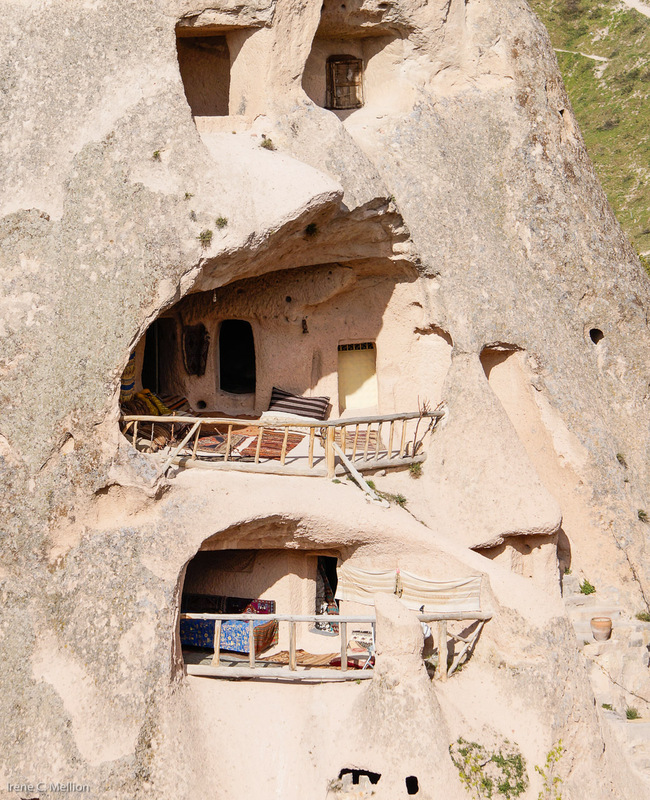 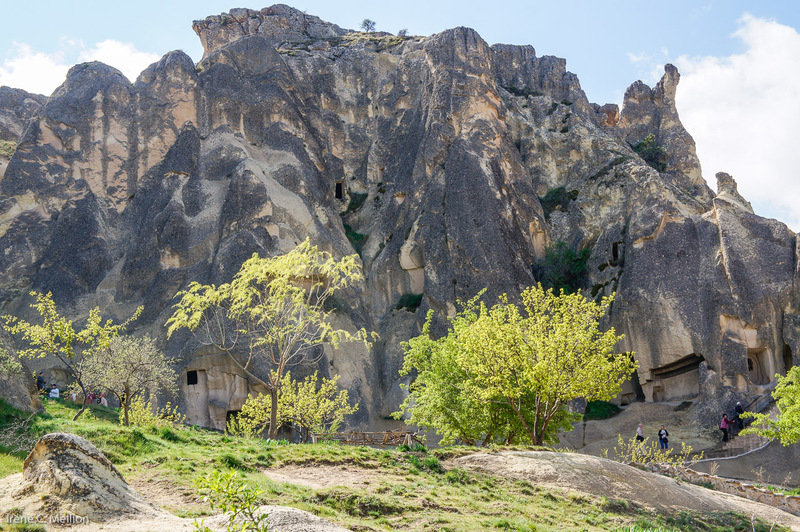 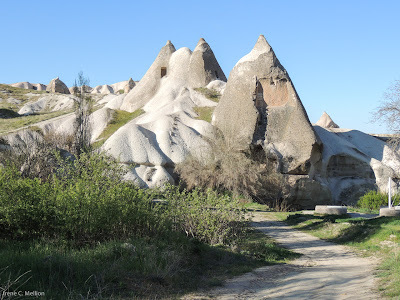 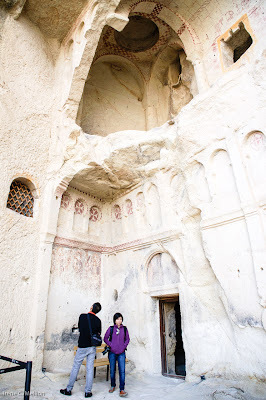 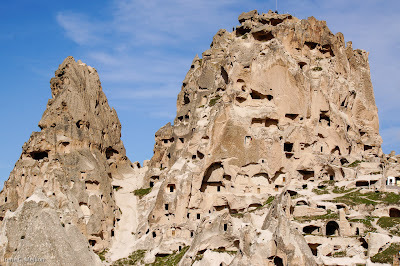 There are also many other pigeon houses in Pigeon Valley (Guvercinlik Vadisi in Turkish) which connects Uchisar to Goreme. 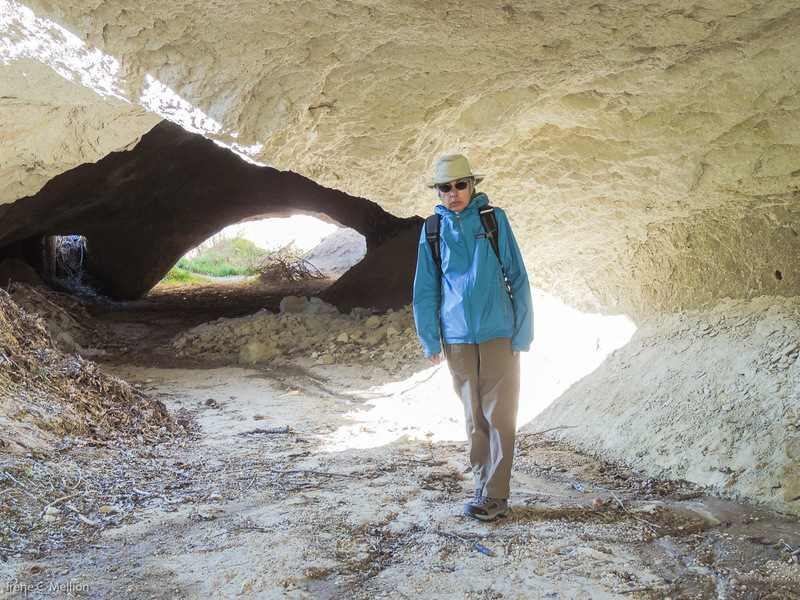 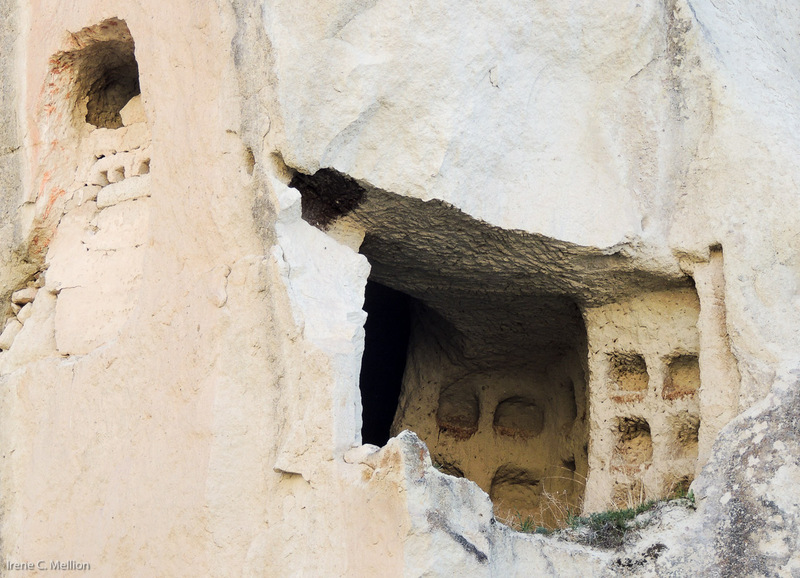 Most of these cave dwellings have been painted white to attract the birds and their valuable droppings. This is a moderate walk in a green valley with many different rock formations and hundreds of pigeon houses carved into fairy-chimneys. 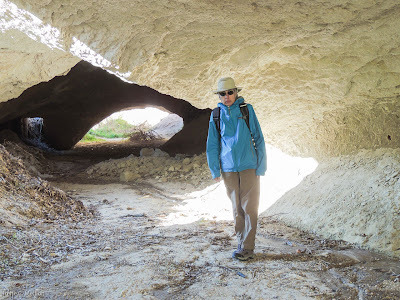 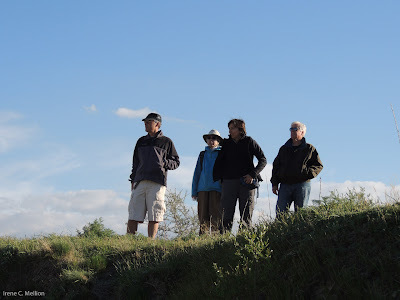 We went in the late afternoon and enjoyed the lengthening shadows and cool temperatures. 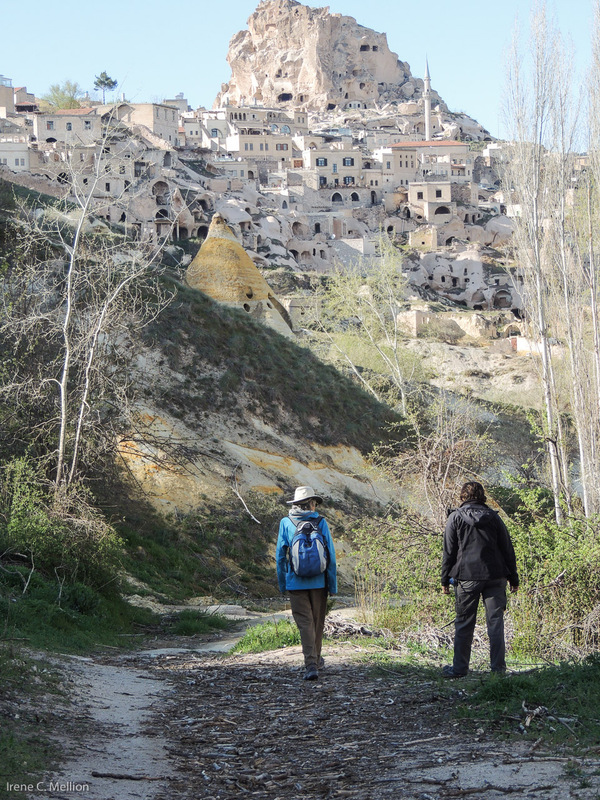 Starting from Uchisar, we dropped into Pigeon Valley, climbed up a ridge and dropped into Goreme Valley. 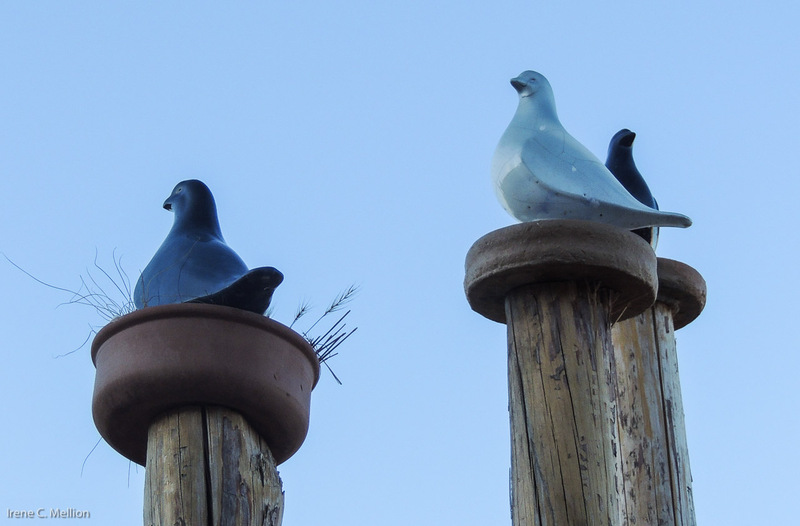 The red wall painting attracts pigeons which enter through the small squares. Once inside the pigeons nest in small alcoves and leave behind their beneficial droppings. 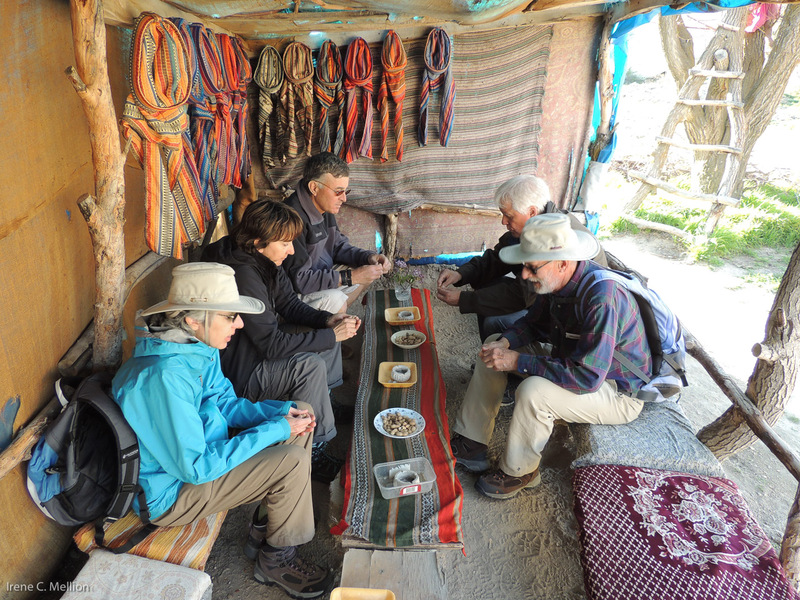 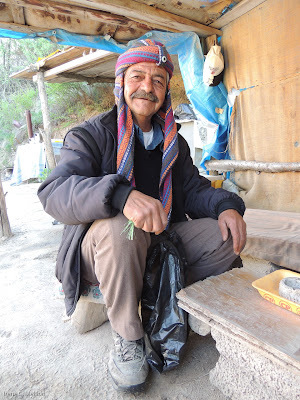 Tea Break--This is how to hike! 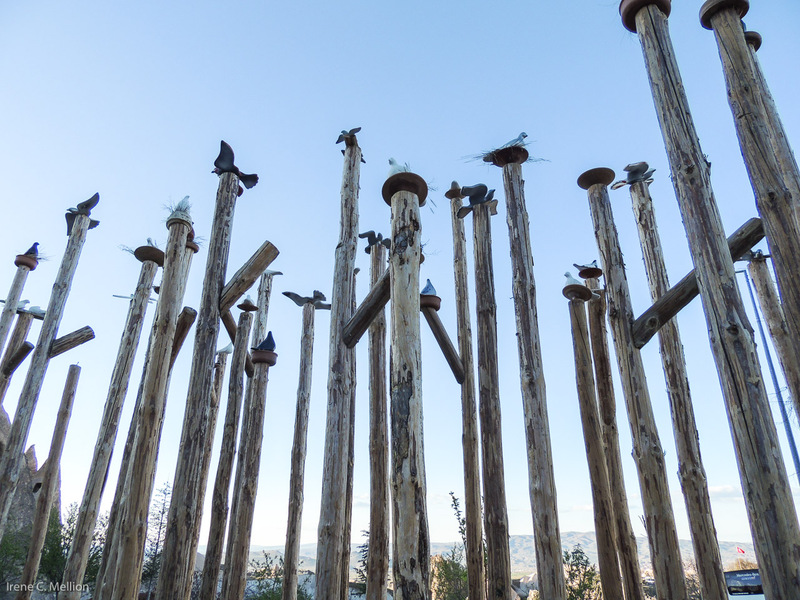 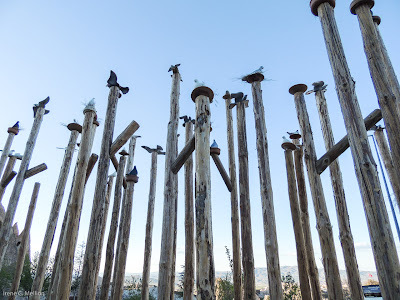 The end of the trail was at a modern and pleasing art installation-- pigeons sitting on nests atop tall poles. 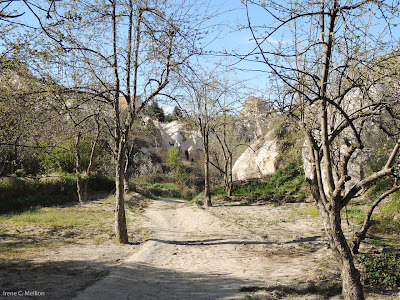 Then back to the hotel--Cappadyka Lykia Hotel--which evokes the stone houses, but with luxury!